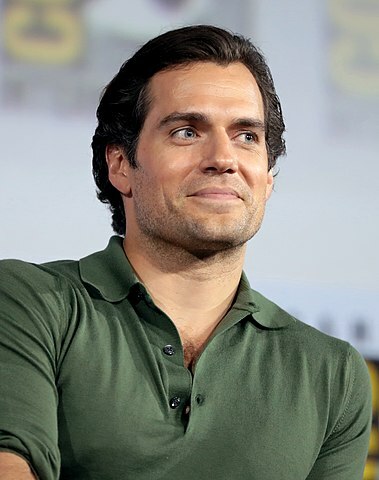 Henry Cavill was born in Saint Helier, Jersey in the Channel Islands, on May 5, 1983, is an British actor. Young Henry Cavill made his big screen debut in drama thriller movie Laguna (2001) in role as Thomas Aprea. Henry's breakthrough role came as superhero Superman in movie Man of Steel (2013). He played the same character in superhero movies Batman v Superman: Dawn of Justice (2016) and Justice League (2017). He played Charles Brandon, 1st Duke of Suffolk in television series The Tudors (2007-2010). His favorite actors are Mel Gibson and Russell Crowe. His favorite movie is Gladiator (2000). He is official spokesman for the Dunhill fragrance collection for men. He is a spokesman for the Durrell Wildlife Conservation Trust. Fan of video games and big comic book fan. Good friends with Luke Evans, Jason Momoa and Armie Hammer. He dated Ellen Whitaker (2009-2012) and Gina Carano (2012-2014). Lives in South Kensington, London. I work out two, two and a half hours a day. Entering the acting world, it's a very lonely life. You all get so close, and then you promise to e-mail and text each other, but you never do. So that idea of being a sort of lone traveler I can definitely associate with. I suppose that when I'm building a character, it's usually related to what their family is like and who their parents are, as well as how I grew up - that nurture side. There's an honesty to Clark, Kal-El - Kal-El's the better way of saying it because he is both Superman and Clark - there's an honesty to him which crosses over on both - I don't like to use the word 'identities,' but I will because I can't think of a better one. So, it is not that tough to make that swap and change. 'Immortals' was very much a martial arts based training program - a lot of body weight stuff, very little in the way of actually lifting heavy weights, and a very, very low calorie diet. Certainly, for younger guys, Superman is this mythological character that they've thought about and explored in their imaginations... But one thing I really like about Superman fans is that they're so open-minded and excited and honest. There's something beautiful about their enjoyment of it - something very Superman-like.